The round houses (a.k.a., Fujian Tulou) are unique rural dwellings that can be found in the mountain areas in southeastern Fujian, China, dating back to the Ming dynasty (17th century). A round house is a large, multi-floor, enclosed, and fortified earth building housing usually a whole clan, which functions as a village and is known as "a little kingdom for the family". In the game Round House, players are the head of a family who tries to lead their members to glory. 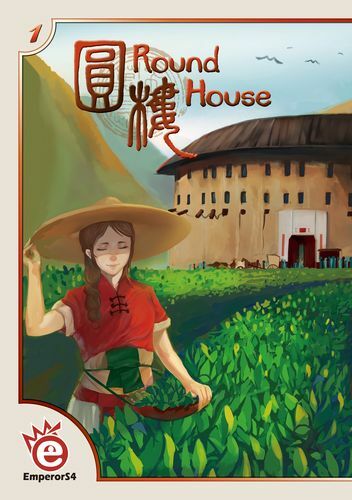 Players take turns moving their pawns around the circular building in one direction, performing different actions to get goods, trade goods for money, hire experts, send family members for distant business, and eventually bring the families home to worship the ancestors. By cleverly moving your pawns around the round house and maximizing the performance of your faithful family members, you might become the most glorious family and win the game!